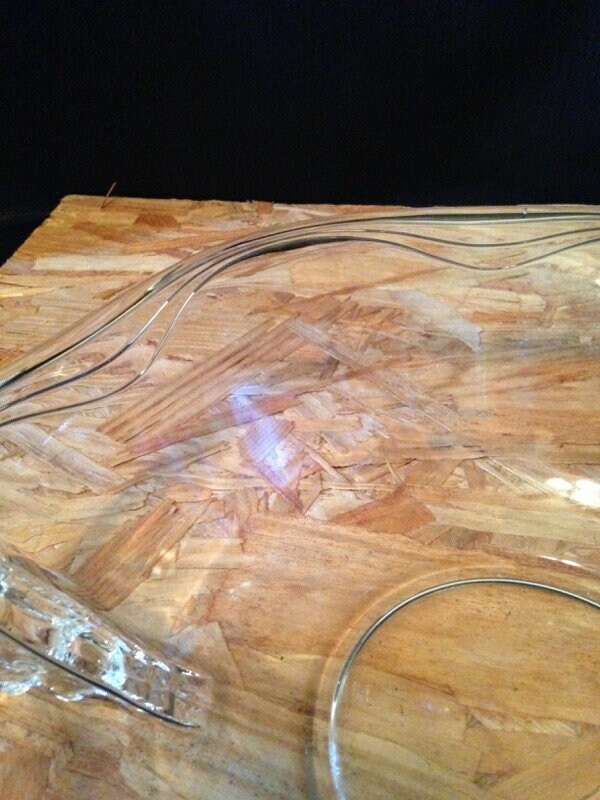 This vintage clear glass bowl is a large, heavy piece. 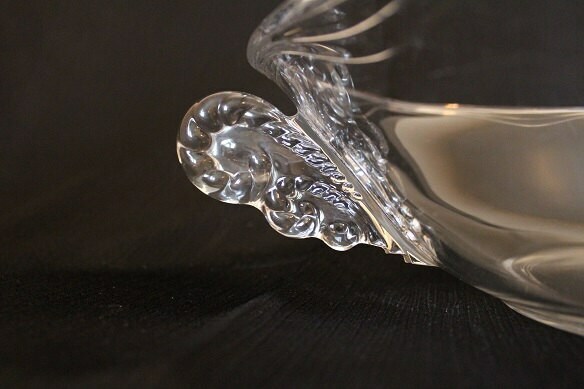 It has ruffled edge with a scalloped band pattern around the rim. 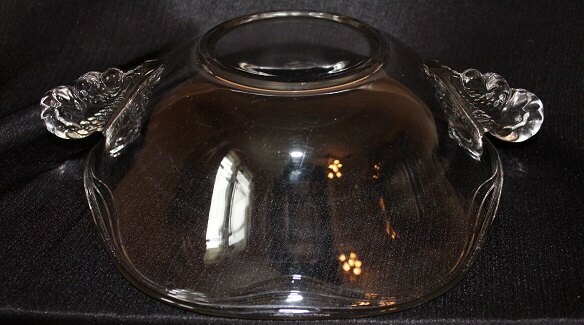 There are applied scrolled handles on each side of the bowl. 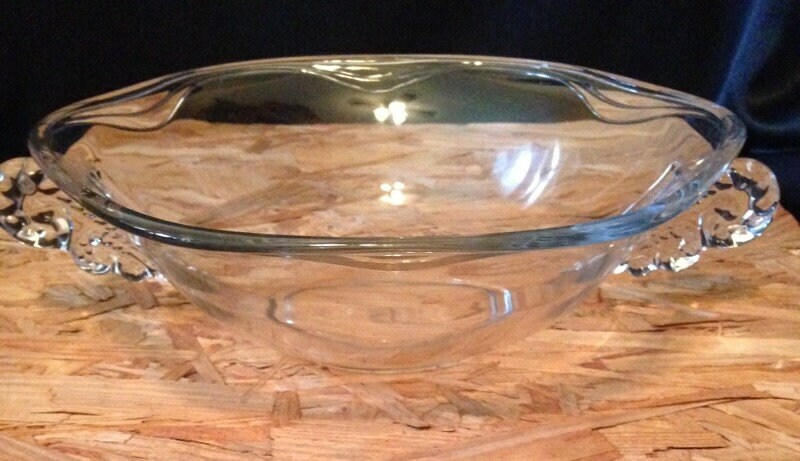 This bowl is nice condition with no cracks, or chips; however, there are light scratches from normal wear.